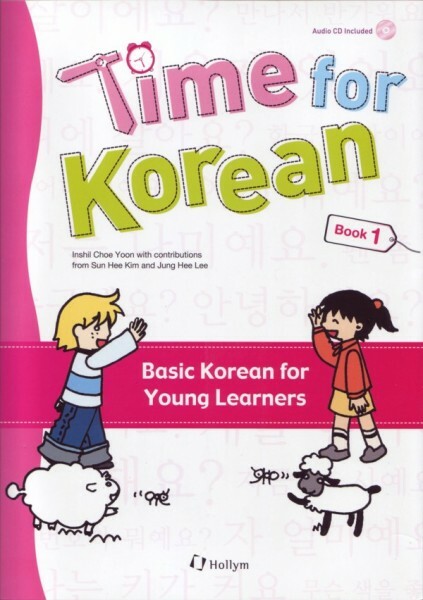 Produktinformationen "Time for Korean Book 1"
This two-volume textbook series aims at fostering young learners’ skill of listening to and speaking Korean through various stimulating activities as well as learning relevant aspects of Korean culture. The book has been set up in a fun and enjoyable way as every section comes complete with activities, songs and games for students to play, as well as pictures that help explain the lesson. The accompanying audio CD helps students acquire accurate pronunciation of Korean words. Dr. Inshil Choe Yoon teaches Korean courses, writing systems in East Asian Cultures and translation courses in the School of Asian Studies at the University of Auckland. Brought up in Seoul, she graduated Seoul National University and earned her Ph.D. from the University of Auckland. For over thirty years, as she raised her children in New Zealand, she committed herself to finding efficient ways for children living in an English-speaking environment to improve their Korean language proficiency. This led to her writing articles and books to assist teachers and children learning Korean as a mother tongue or a foreign language. Weiterführende Links zu "Time for Korean Book 1"
Unser Kommentar zu "Time for Korean Book 1"
Kundenbewertungen für "Time for Korean Book 1"